Americas Cardroom Review 2019 | A poker room for US players. It's one of the best options you've got as far as US online poker goes. Online Poker in the US is a tricky business. So you've got to have some swagger about you to run a US-facing poker site for real money, let alone call it Americas Cardroom. But the name is warranted, as US players are having no trouble depositing or cashing out. The poker room's parent company is an established Sportsbook (also serving US players), so you're not dealing with a fly-by-night poker site here. They bought the old DoylesRoom poker room when Doyle decided to get out of the business in 2011 (Black Friday was scary for anyone running a US poker room). 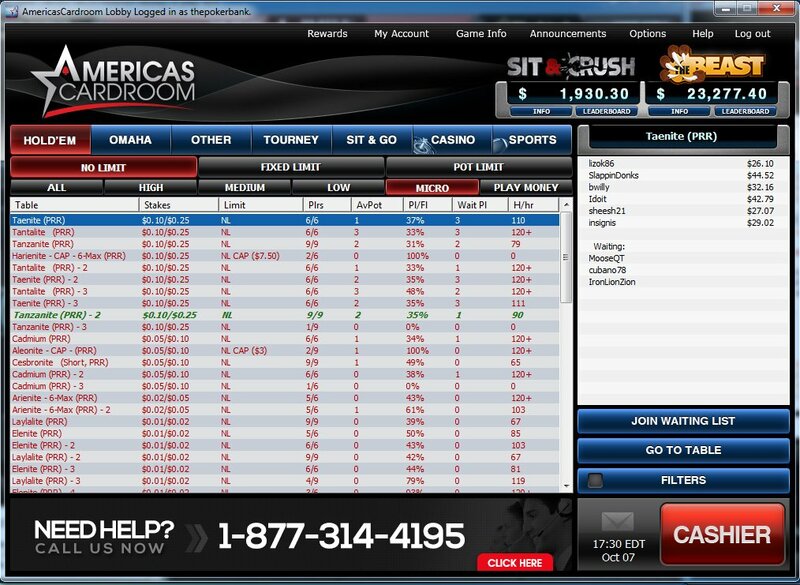 They rebranded it to AmericasCardroom, and aimed it directly as the US online poker market. Ballsy indeed. I don't think it would be helpful to publish the name of the company here, but you can find it with a bit of Googling around. This Sportsbook has a solid reputation for payouts and honoring bets. It's one of those companies where their website looks like it was built in the 90s, but they're reliable so people trust and use them for betting. In a nutshell, this is as reliable as you're going to get for US poker. A lot better than I expected. The Yatahay network (now called WPN) used to be a joke when it came to their poker room clients. 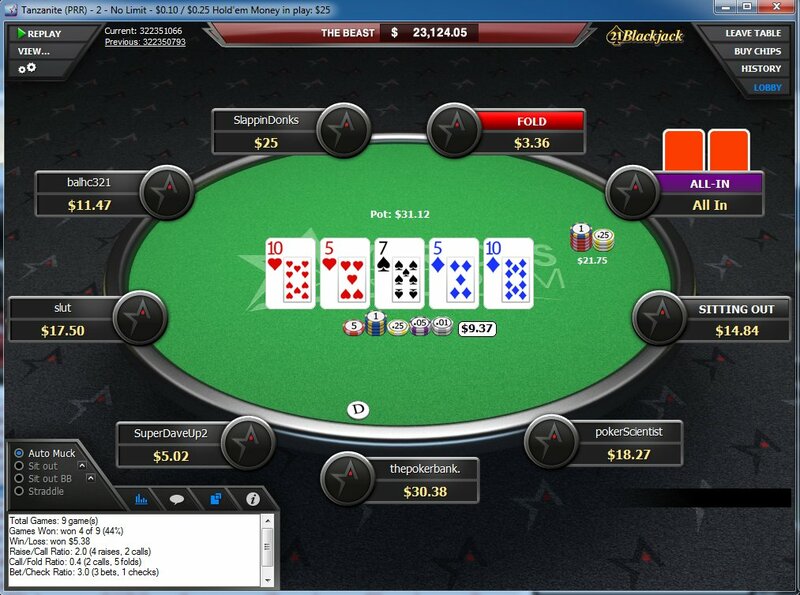 But now their client looks great, although clearly borrowing a few design elements from PokerStars's client. And by "borrowing a few design elements" I mean "ripping off". But I'm not one to judge. Nonetheless, with a stylish table and smooth animations, it's a pleasure to play poker here. The audio however is horrendous, as it sounds like you're playing on a broken slot machine. But head over to the settings and you can fix the the problem (i.e. turn sounds off) in just a few clicks. Whilst you're in the settings, you may as well turn on the 4-color deck, and change the color of the back of the cards so it's easier to see who's still in the hand. I like orange. So yeah, the software is pretty and the settings have got all of the important stuff covered. Nice job. Enough players here to keep the cash games running up to $600NL at peak times. So no, you're probably not going to have any trouble playing poker at the stakes you're currently playing at (or are looking to move up to). It's slim-pickings at the High Stakes tables though ($1000NL+), as most open tables have been commandeered by sole regs waiting for a random fish to turn up. Overall, traffic is good. It seems most US players who want to play poker online (and don't care for bitcoin poker just yet) are playing at ACR. October 2014: Plenty of action at the micro stakes tables. Good software, lots of traffic, what else could you want? Oh yeah, bad players. I only played here at a $25NL FR table for about an hour, so I wouldn't say I have an intimate understanding of the general level of competition across the entire room. Having said that, I did see plenty of shorter-stacked players coming and going, which is a good sign that at least some people don't really know what they're doing. I also witnessed 4 players call a $2.16 all-in from a short-stacked player before the flop, which is definitely more fun than optimal. In a nutshell, if you're good at poker, there are enough bad players here to be able to make money. If you're bad at poker… best of luck. I didn't have any problems depositing or withdrawing. I used Bitcoin, so I imagine the more conventional banking options work equally as easily. Making a deposit with Bitcoin at ACR. Works like a charm, and only took about 10 minutes for it to be verified. Straddle Feature - This is a fun box to tick whilst seated at the table. Makes me feel like I'm playing on an episode of High Stakes Poker (best poker TV show ever). "If a player in the position after the Big Blind has the straddle button pressed he/she will pay a double blind automatically and will steal the BB player's position." Hand Replayer - Intelligent addition. If you're a smart poker player, which you are, you'll be happy to know that you can quickly and easily run through the hands you played in your last session. Works like a charm. Thanks ACR, you clearly know what you're doing here. Official Americas Cardroom Help Desk (thread at twoplustwo) - Best place for getting a general consensus on how the room is doing from people who are playing here for real money.